Let me start off by saying that I am not a baker. I like to cook, but I don’t often bake. 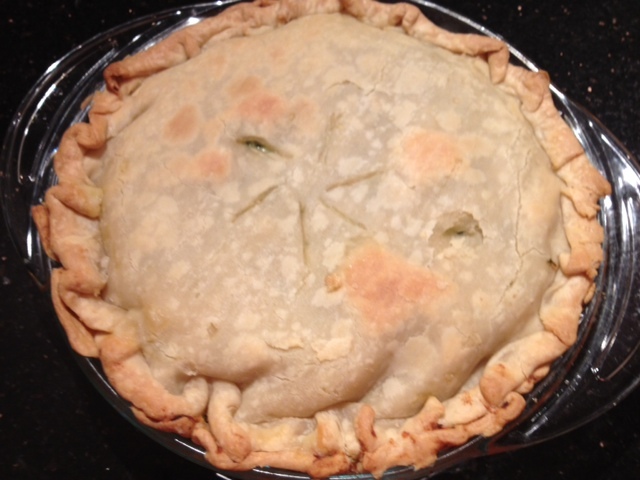 In fact, this is the first pie I have ever baked! 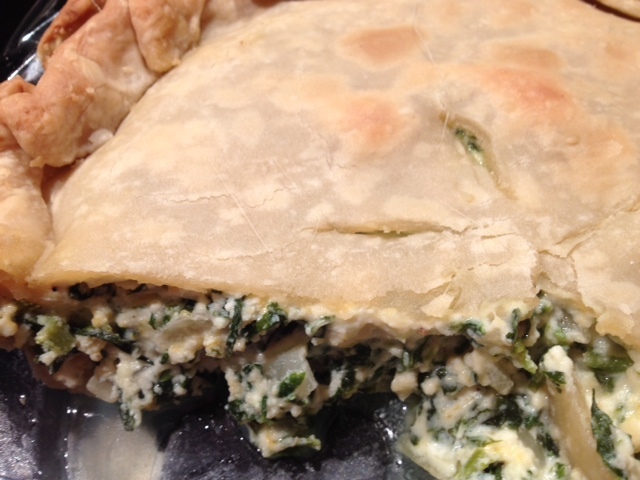 This is a pie that my mama Helene made when I was growing up. 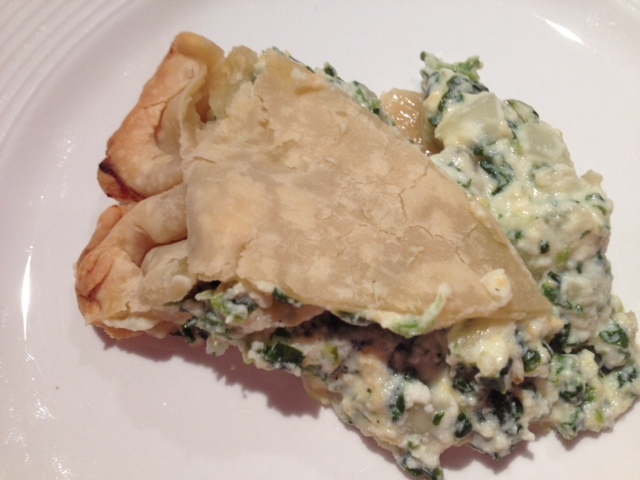 I decide to make this pie myself using lower-fat ingredients to make it a bit more FBB friendly. 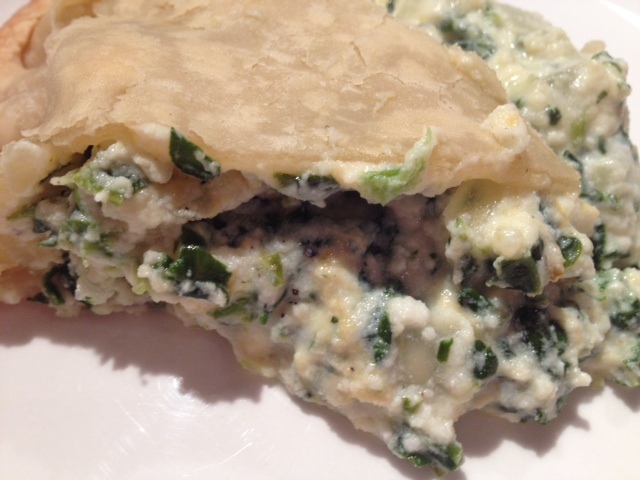 This savory pie is just amazing! Begin by heating 1 tbsp of olive oil in a large pan. Add the onion and sauté for about 5-10 minutes on medium heat. 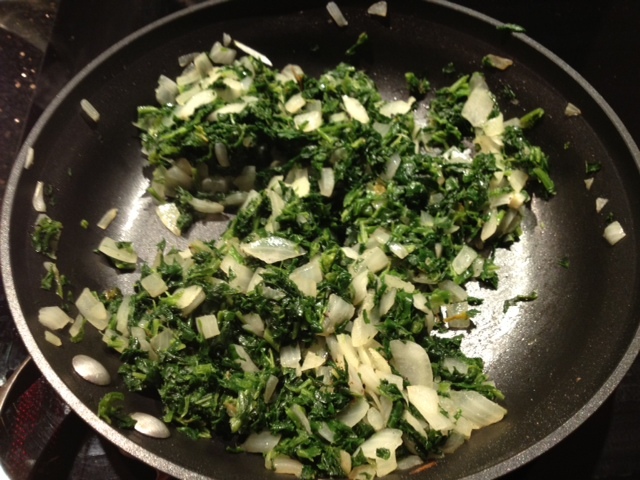 Then add the chopped spinach and cook for about 5 minutes longer. Season with a dash of garlic salt/black pepper. 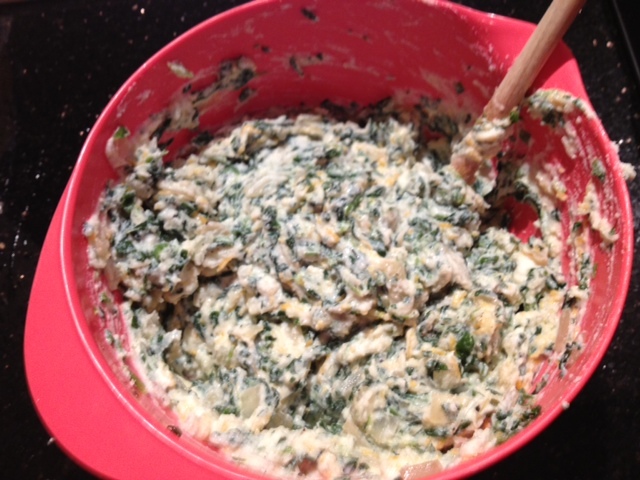 In a large mixing bowl, add the ricotta cheese, mozzarella, cheddar, Parmesan, egg and the spinach and onion mixture. Combine and season with more garlic salt/black pepper. 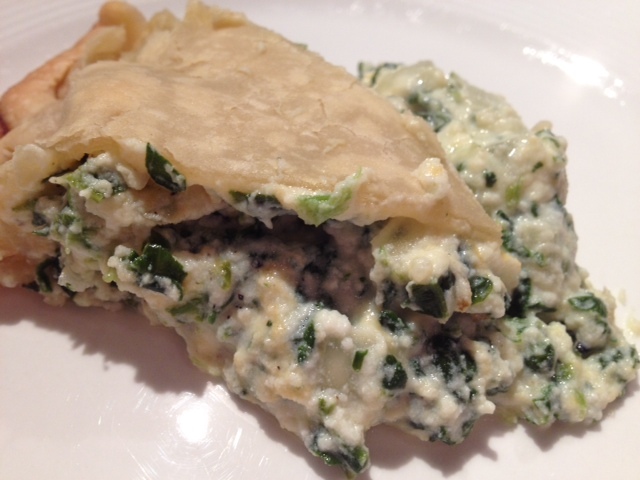 Place the bottom pie crust into a greased pie dish and then spoon in the spinach and ricotta mixture. 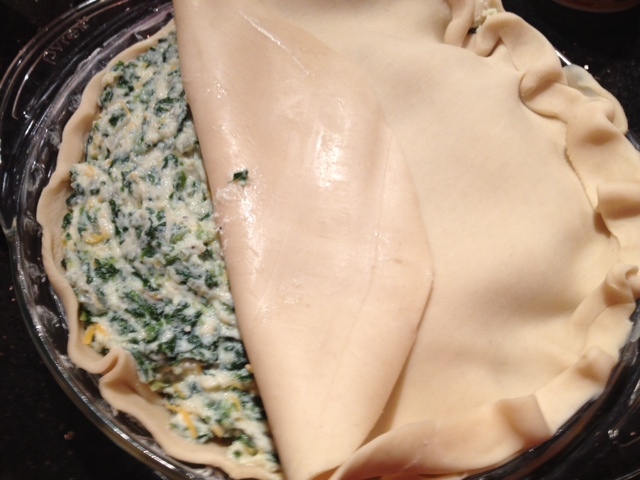 Place the top pie crust over the mixture and use your fingers to crimp the crust shut. 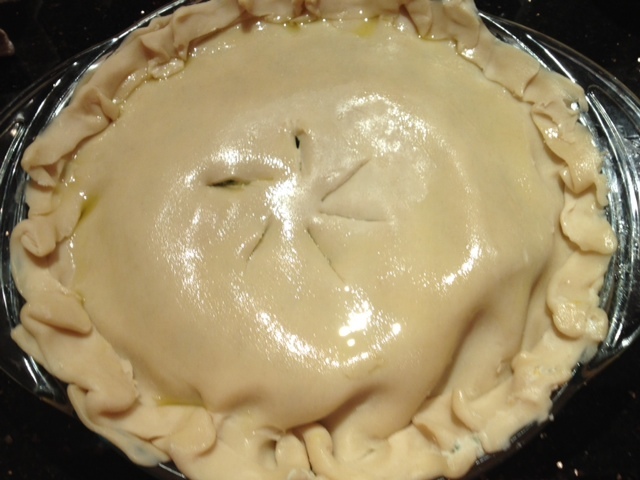 Use a knife to cut small slits in the top of the pie. I took a small amount of olive oil and used it to coat the crust to add some extra shine and flavor. Bake the pie in a 375 degree oven for 30-40 minutes until lightly browned.